The wreckage of Skier 917 has been found. To be fair, we knew all along where it was. 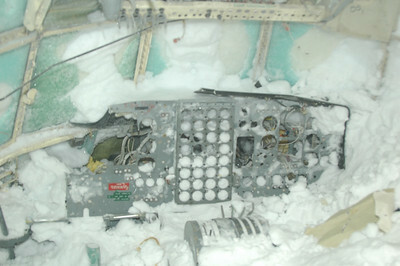 After all, it was being used as a radar reflector for incoming aircraft landing at the South Pole snow air strip (NZSP). 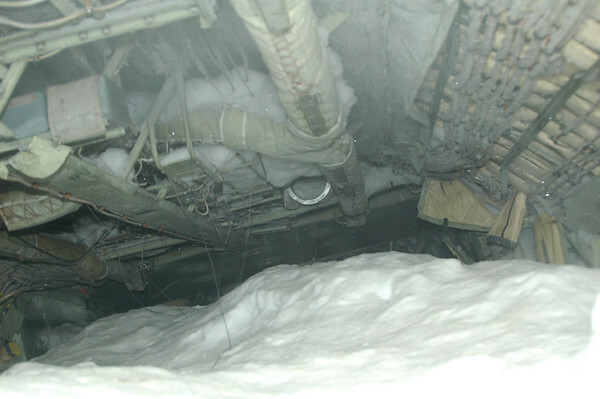 What hadn’t been done (at least for some time) was digging down into the snow to reach the access hatch. It took the effort of many, but we’ve reached the goal of crawling down through the escape hatch into the buried plane. Everyone who visited the wreck site took at least three hours of their free time per visit skiing or walking out to the site, climbing down into a five-meter snow hole and hauling out a few buckets of snow. That’s a true group achievement. 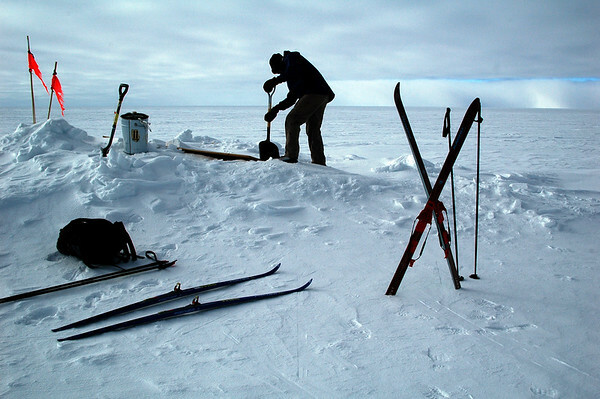 Two days before Christmas, Kris from the meteorology department and I skied out there to check it out. 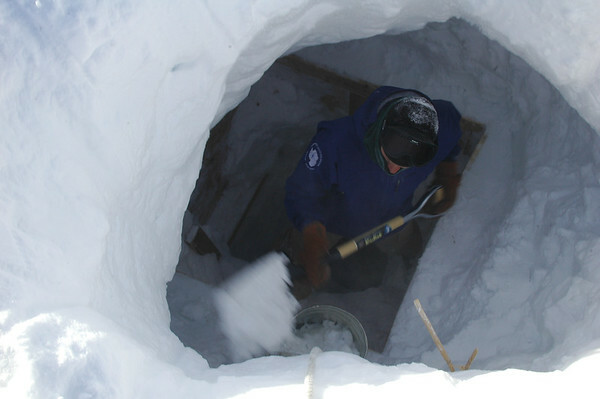 No one had visited the site in some time so a few inches of snow drift had accumulated on the sheets of plywood covering the access hole. Get the full history from Bill Spindler’s site. This entry is filed under: Air, Antarctica, Ski, Snow.